Thank you for considering a gift to the Orland Park Lions Club, your donation will help us serve your community. AmazonSmile is a simple and automatic way for you to support your favorite charitable organization every time you shop, at no cost to you. When you shop at smile.amazon.com, you’ll find the exact same low prices, vast selection and convenient shopping experience as Amazon.com, with the added bonus that Amazon will donate a portion of the purchase price to the Orland Park Lions Club. 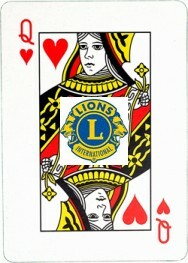 Orland Park Lions Charitable Organization. TICKET SELECTION WILL BE SUSPENDED THIS FRIDAY MARCH 29th! A Queen of Hearts manufactured raffle board has been developed specifically for this Raffle Game. The board has 54 sealed numbered positions. Under the sealed positions and randomly placed the manufacturer has concealed a deck of poker cards with 2 Jokers. When you purchase a raffle ticket, you retain half and fill out the required info and chosen card position on the other half and return. Your returned half will then be placed in a tumbler that will be used for mixing that week’s raffle tickets. Every Friday @ 8 pm one raffle tickets will be removed from the tumbler and the position written on the raffle ticket will be revealed. If it is the Queen of Hearts, then that raffle ticket holder wins the Grand Prize. In any case, all the old raffle tickets are disposed of and a new game begins for the following Friday where the entire process is repeated. Orland Township Food Pantry donate food and money year round. Scholarships Provide three individual $1,500 scholarships to three students in need and with a disability who attend one of our local High Schools and plan on attending college. 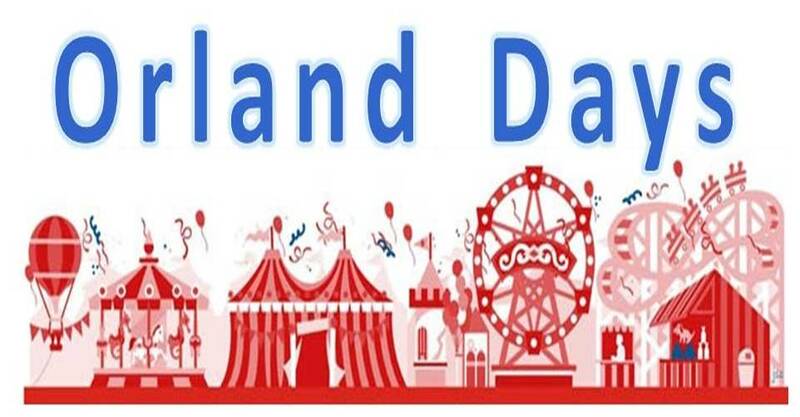 Orland Days Special People Day – These are special needs people and we average around 1,500 children and adults for a one day Carnival. All rides, live entertainment and lunch are provided at no cost to them. Sponsor three softball teams and provide uniforms for the Special Recreation Department. Donate Christmas trees to people in need. Provide eye exams and glasses to individuals in need from the surrounding schools. Provide Vision testing for children.